SoundMagic are known around here for creating audio gear that sounds more expensive than it is. Which begs the question as to just how good the SoundMAGIC Vento P55 V3 headphones at their £249 price point? We place the Vento P55 version 3 headphones in the upper mid-range end of the market in terms of aesthetic build. Both the headband and extendable hinges are made from stainless steel and from our experience the use of this material in the latter component means they’ll still be wearable in a decade to come! Furthermore the headband and outer ear cups are crafted from aluminium and the ear pads appear to be a vegan leather derivative. All-in-all SoundMAGIC have kept things streamlined and classy with the use of high quality materials. We particularly like the shimmery gunmetal colour that accentuates the design detail which we feel has Sennheiser notes. There was one thing that irritated us about the design though, and this was that the ear pads have a habit of detaching from the ear cups far too easily! We’ve lost count of the number of times we’ve taken the headphones off our heads and through simply rubbing the cups against our necks or arms we've witnessed a rolling ear cup on the ground! And because the lip of the pads is quite thin they’re fiddly to re-attach, hence why they’re prone to falling off we guess. 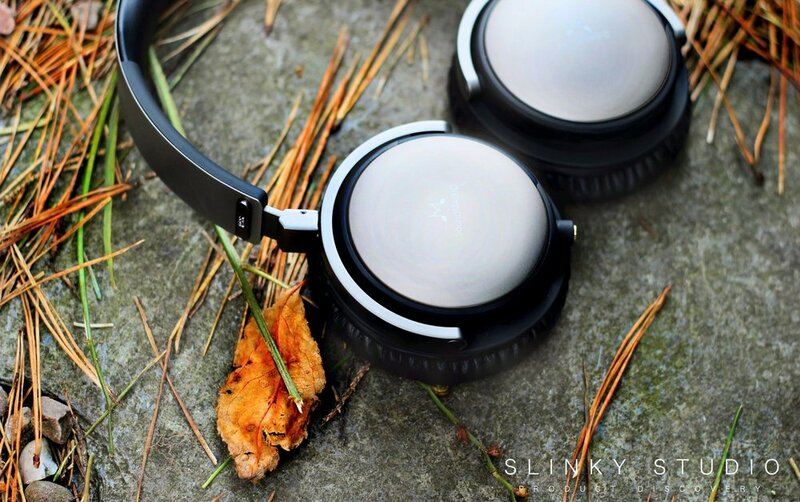 Our foremost favourite attribute of these headphones is their comfort. They’re soft, non-clingy and the materials used for the headband and cups are delicate. Interestingly, the padding, whilst springy and cottonwool soft, is not placed around the sides of the headband - it exclusively lives on the top portion. This demonstrates a clever engineering balance, as if the cups were smaller they’d glide off the ears with little head movement required. But instead, because they’re largish in size, they stay well positioned when walking around the home, bending over and even stay put with a little brisk running. Albeit the latter aspect will disturb audio playback as the cups do jar back and forth with momentous head movements. In summary though, we’ve listened to the Vento P55s throughout long evenings where comfort remained a pleasure and not an irritant after 4-5 hours. 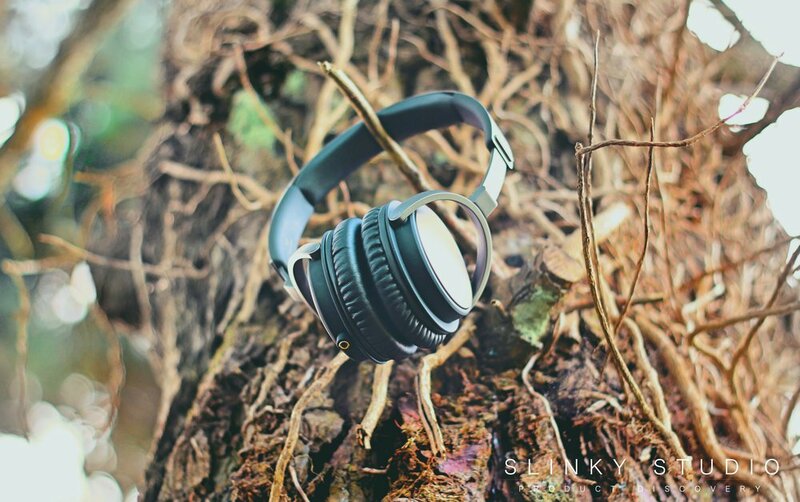 We call the SoundMAGIC Vento P55 headphones airy in sound presence. We’re not quite sure if the wooly comfort or receding driver positions in the cups emphasise this sensation, but for whatever the reason audio of all persuasions has an intrinsic passiveness about it. It's almost as if the 40mm dynamic drivers were a good 10cm away from our ears. Of course, a tremendous byproduct of this style is that unmissable stereo separation is achieved and there’s a reasonably spacious soundstage to add. Instruments are unpeeled from each other and vocals seem to always locate a separate platform to be clearly heard. In terms of angling, the soundstage produced does creep a little ahead and behind our heads but it’s not to the levels of the Ultrasone Signature Pro’s. 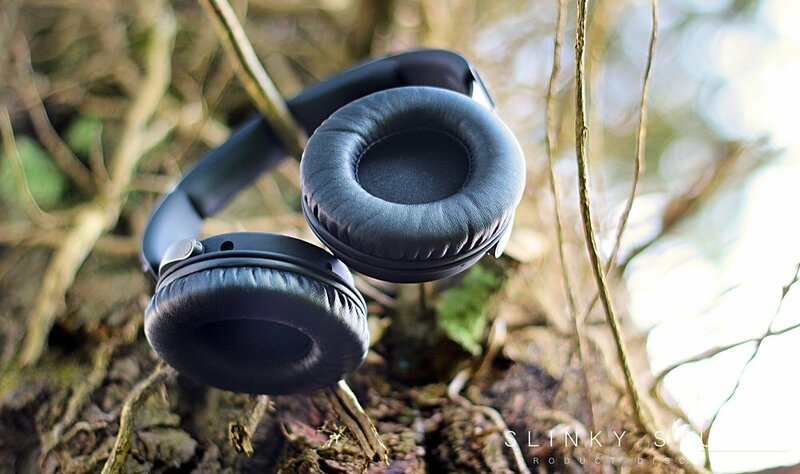 Rather, with the Vento P55s, the standout quality is the depth achieved away from our ears. We’ve enjoyed this performance style after listening regularly to them for over a month, but not all ears will agree. We’re looking at the people of the ‘throw the sound into my ears’ persuasion! These don’t do that, they massage heavy metal and dubstep at you instead. The bass isn't overwhelming and for our taste we’d like it a notch more impactful. But we don’t want to mislead, cavernous undertones are still the heart of music like the raucous 'Deep Inside' by Safakash played on the P55s; and what is shown from this style is a superb mid-range of sound control. There's chunky posture in guitar strokes and an ear pleasing definition that fills the vocal range sandwich. 'She’s In Love With The Weekend' by Jodie Abacus showcases this well with suspended vocals and instrumentals that recapture the slightly aqua-like recording influences. 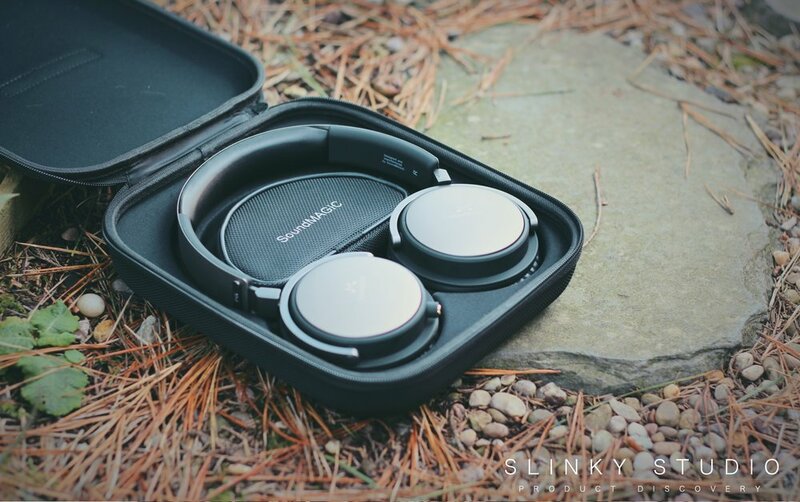 We particularly felt the SoundMAGIC Vento P55s are very similar in overall sound styling to the Sennheiser Urbanite XL headphones which demand a £100 more. High ranges collaborate well with the airy presence established and the solo acoustic rendition of 'Unstoppable' by Lianne La Havas is spine-tingling in the choruses, and her guitar tapping and string shimmer are all reproduced in glorious detail. Acoustic music from the likes of Jack Johnson, Ben Howard and Jason Mraz can build a soulful atmospheric gutsy signature. To put this simply, we've heard similar results in the acoustic area from headphones like the Ultrasone Signature Pro’s which have an accompanying price tag that exceeds a cool £1000! Pleasurably comfortable to wear and the sound produced gets a firm thumbs up for being dynamic, rich and hugely persuasive in value at £249; albeit the sound style is airy in quality and may not appeal to those who desire a more penetrating forceful sound. We quite frankly adore this atmospheric controlled style as it sits well with the spoken word and gentler arrangements, although it still lends favourably to denser arrangements too.